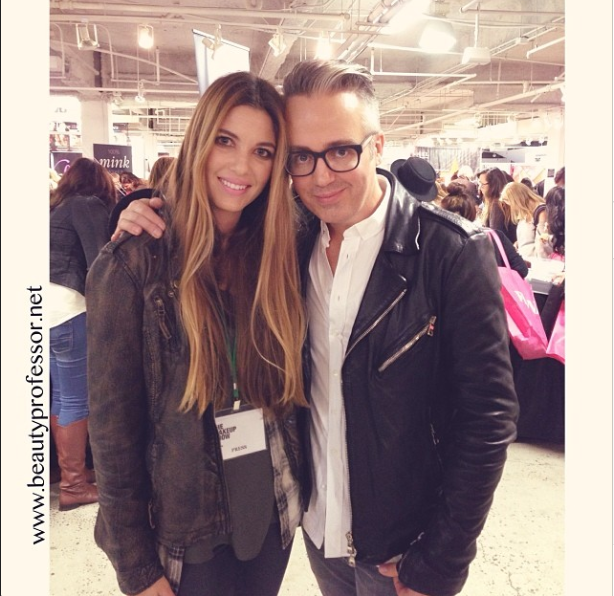 Above: BP and the venerable Troy Surratt at The Makeup Show LA last weekend. I have not concealed my love for the Surratt Beauty line. Exclusive to Barney's New York, this brilliant, streamlined, exquisitely beautiful collection of products has impressed me greatly. To date, I believe I have swatched every element in the line (found HERE and HERE)! Some of my favorite products include the Diaphane Loose Powder Compact and the Artistique Eyeshadow in Haute Chocolat. Additionally, his Autographique liquid liner is perhaps the finest in the beauty industry! Consequently, it is with great pleasure that I announce that Barney's NY at the Grove is hosting its first ever beauty event, featuring a personal appearance by none other than Troy Surratt himself. I had the distinct joy of meeting him in person last week at The Makeup Show LA (full recap forthcoming) and can attest to his genuine kindness, warmth and talent first hand. I can't wait to swing by this unprecedented event and hope your schedule affords you the flexibility to do the same...hope to see you there!